The DVD contains a live performance of the band, filmed in Dublin. 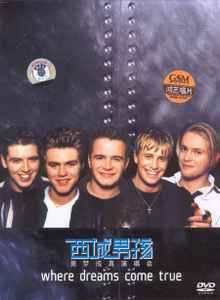 It also has the following special features : "Access All Areas" documentary, "World Of Our Own" featurette, access to a hidden website and the music video for "When You're Looking Like That". The bonus CD contains 5 live tracks from the same performance as the DVD. Release contains a free poster of the band and a booklet with the lyrics of the CD-songs translated to Chinese.